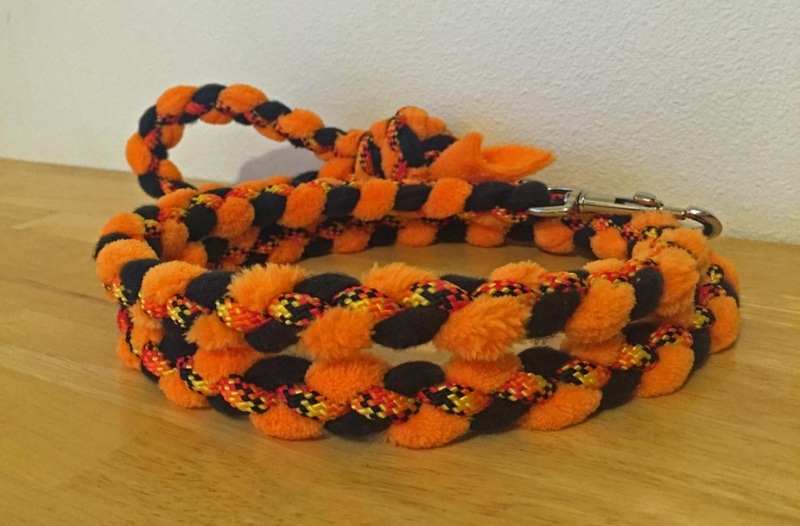 Strong, stylish, fun and fit for rock star canines. 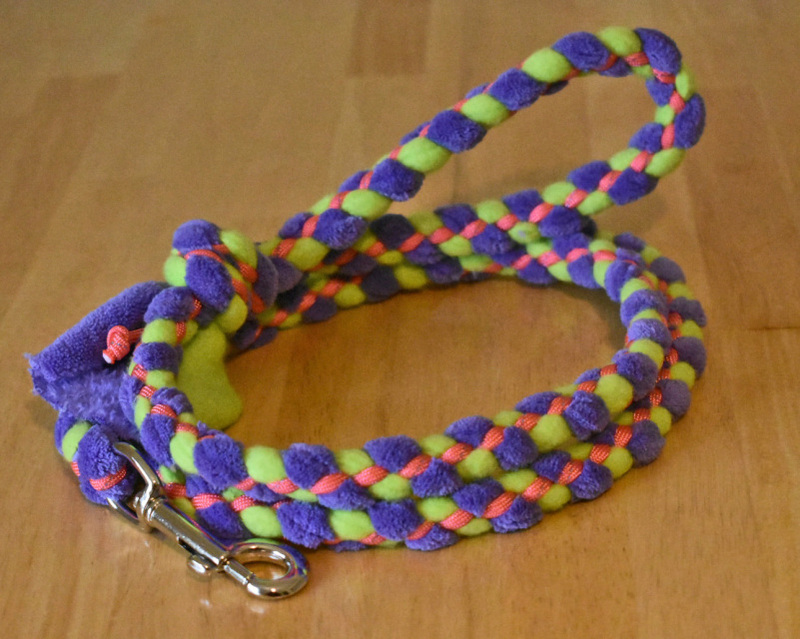 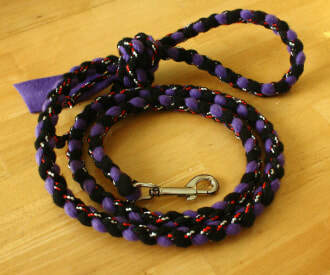 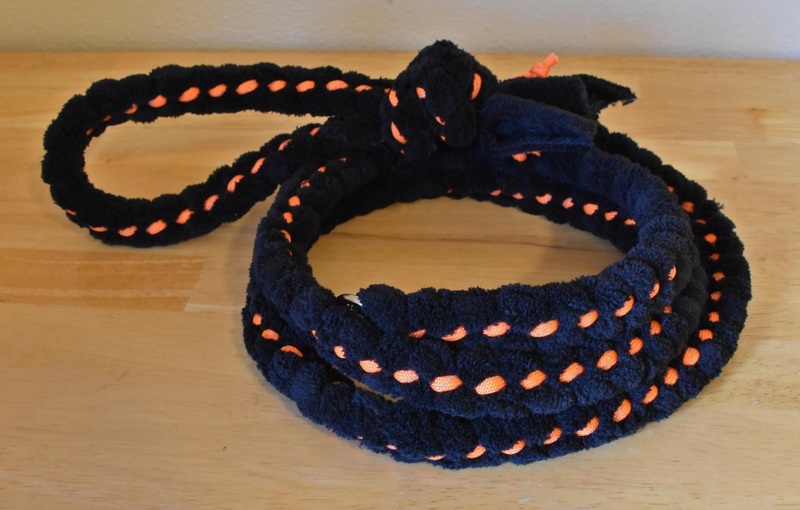 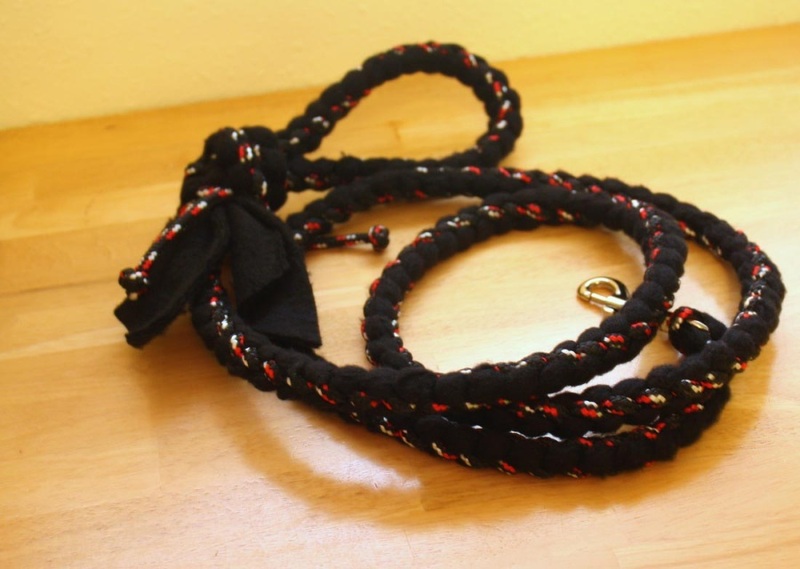 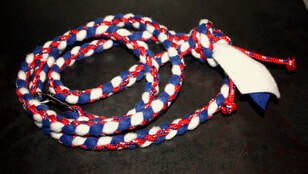 This leash is available as either a slip or a clip and is 5 feet long. 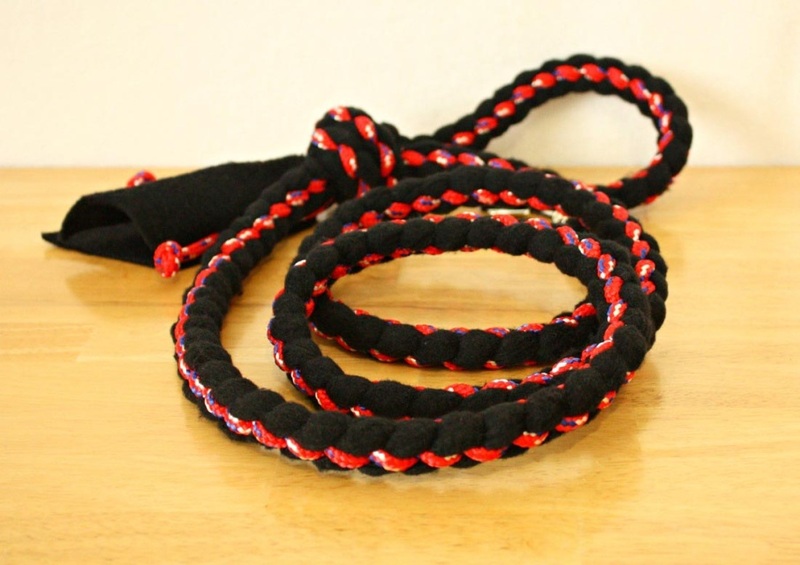 They are made with a four strand round braid, two of the strands are high quality fleece, the other two are diamond braid polypropylene rope or para cord. 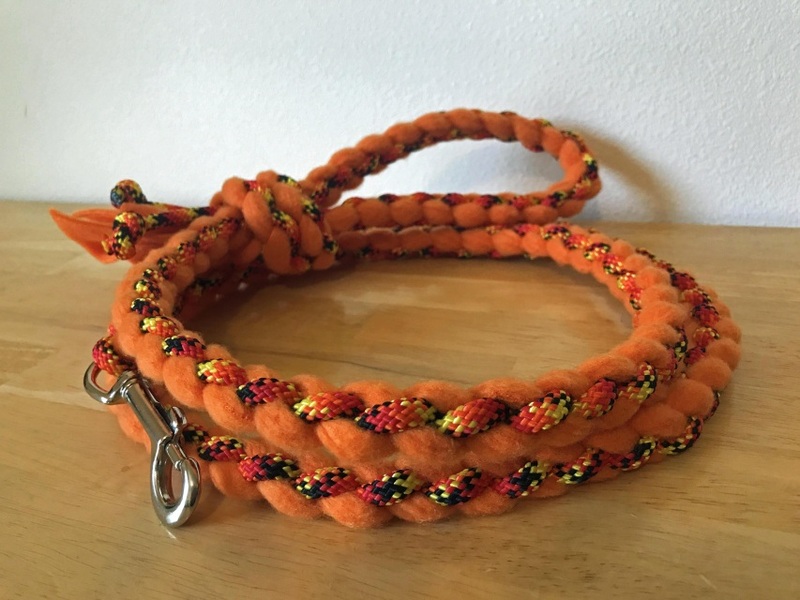 These leashes are ideal for stronger tuggers that try to chew the leash while tugging, they are also not as shock absorbing as our all fleece leashes. 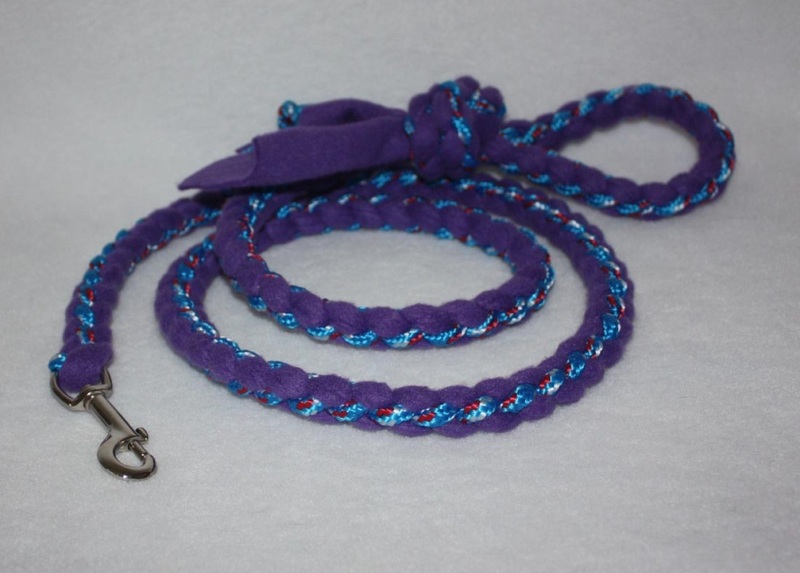 They provide a nice grip and are comfortable on your hands. 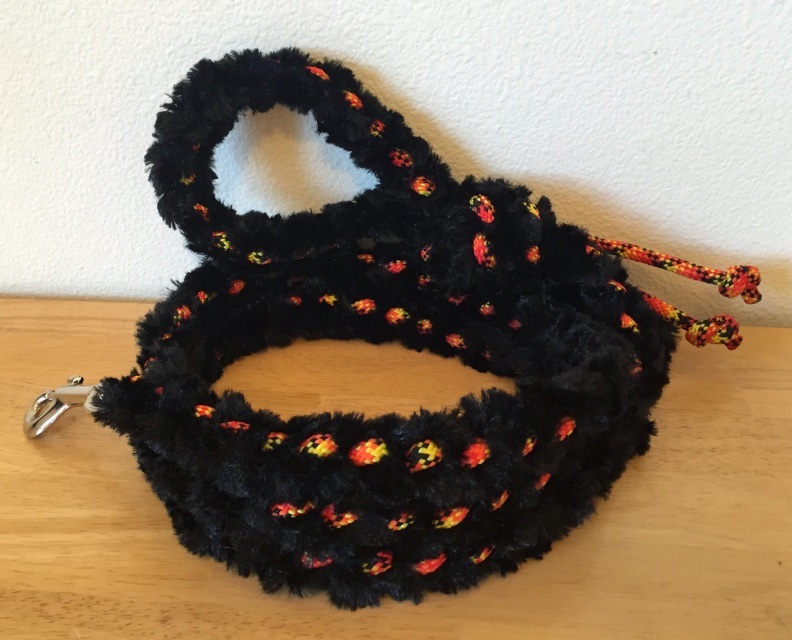 Leash your inner rock star and rush to tug!